Currently, there are many buses of different brands from Ho Chi Minh City going to Phnom Penh each day, departing on Pham Ngu Lao, De Tham streets. Fares are approximately 8 to 12 dollars, and traveling in 5 hours. 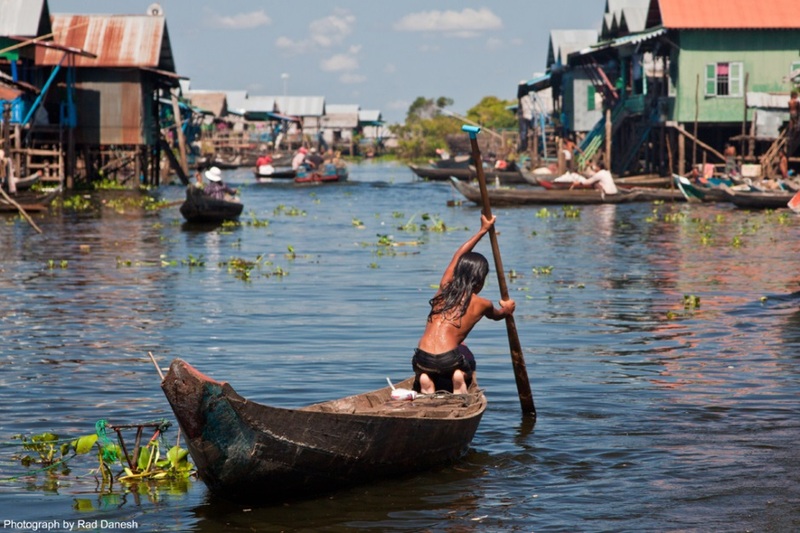 In the capital of Phnom Penh, the ticket of car returning to Ho Chi Minh city is $ 10 / person. The box office of Cambodia Capital, Mekong Express Limousine Bus operate from 6am to 6pm daily.. Vietnam car company in Phnom Penh include: Sapaco car at 309 Preah Sihanouk Blv, Mai Linh car at 391 Sihanouk Blvd (No 274), Phnom Penh. In Phnom Penh, you can rent a tuk tuk to travel all day for $ 10 USD. Each trip costs up to 2-3 USD. Motorcycle Rental cost is $ 5 or $ 3 for a bike rental / day. You can rest in the area for Western backpacker, overlooking the Tonle Sap River, next to the Royal Palace, room’s cost rates from 10 to 30$ depending on type. There are many bars, restaurants and services for travelers. In addition, hostels which are clean, large and airy in Orussei market on the road 107 at a price of 5 to 12 USD are suitable. It is very convenient for dining because many delicious and cheap food are served in Orusey market at night. 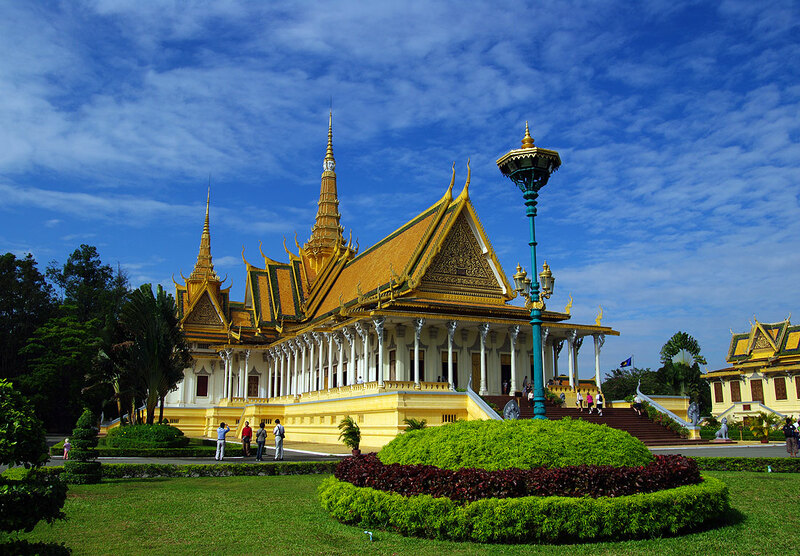 The Royal Palace in Phnom Penh was built after King Norodom had moved the capital from Oudong to Phnom Penh in the middle of 1800. The Palace is also a symbol of the whole kingdom. Royal Palace associated with Silver Pagoda include a complex of palaces, buildings and gardens. Palace overlooks the Tonle Sap River. In Saturday and Sunday nights, the lights are turned on and create a shimmering look. Killing Fields and Tuol Sleng Genocide Museum: The horrible places with a tower full of skulls. Wat Phnum Pagoda, also known as Mrs. Penh temple: this temple is quite nice and pleasant. Upon entering the place, remember to wear long pants and long sleeve shirts. Cambodia National Museum: Do not miss this place, it has beautiful architecture and many exhibits. 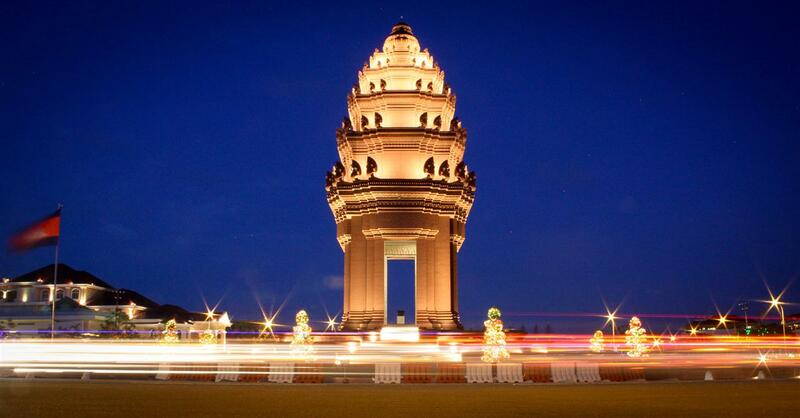 The Independence Monument of Phnom Penh: it was begun to constructed in 1958 and inaugurated on 11.09.1962 to mark 9 years of independence of Cambodia from foreign oppressions. - Sorya Shopping Center: is located at 13-61, South of Phsar Thom Thmei, Trasak Phaem (St. 63), 12208 Phnom Penh. - Russian Market on 163 Street is opened from 7 am to 5 pm. There are many choices for you to shop when arriving Russian Market: clothing, footwear, silk, antique (both auth and fake), the sculptures ... You can by T- shirt with only USD 2- 3. 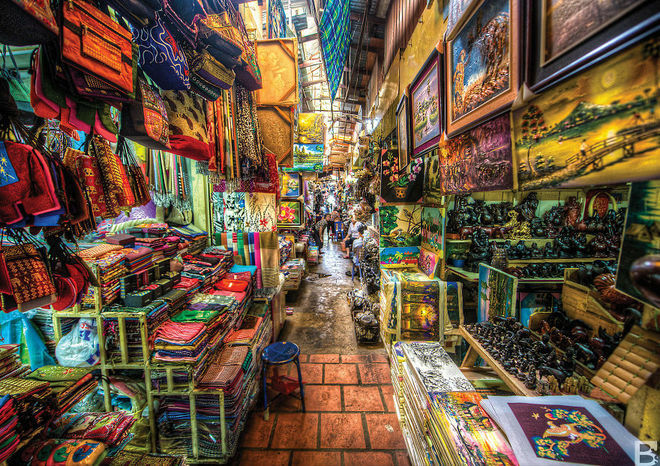 Antiques street in Phnom Penh city is also located near the Russian Market. - Phsar Reatrey Night Market: Located at the junction between Sisowath Quay and Oknha Ing Bun Hoaw road. 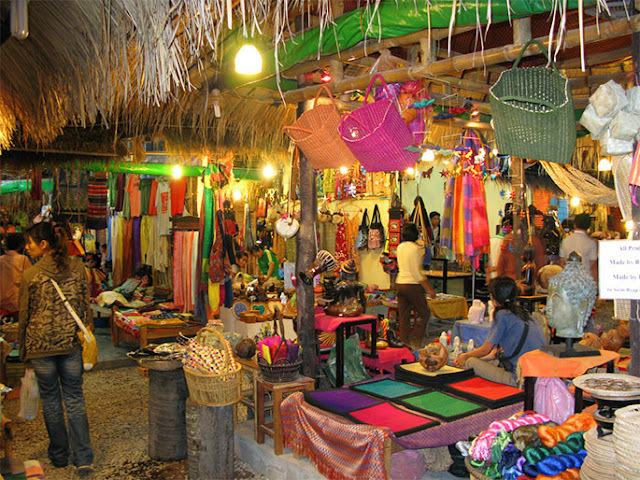 - Kanda market is located near the new foreigner street of Phnom Penh (Sisowath Quay area). The items sold here are mostly to serve to the needs of local people.